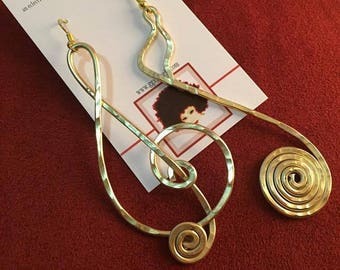 Select a color Silver Gold Copper CUSTOM - convo me! PLEASE READ ALL DETAILS OF THIS LISTING! Since Aquarius is MY sign, I wanted to do something a little more amazing than the rest of the signs! It took awhile to get this right - but I needed a minute to figure out how to translate the symbolism of The Water Bearer into wirework. 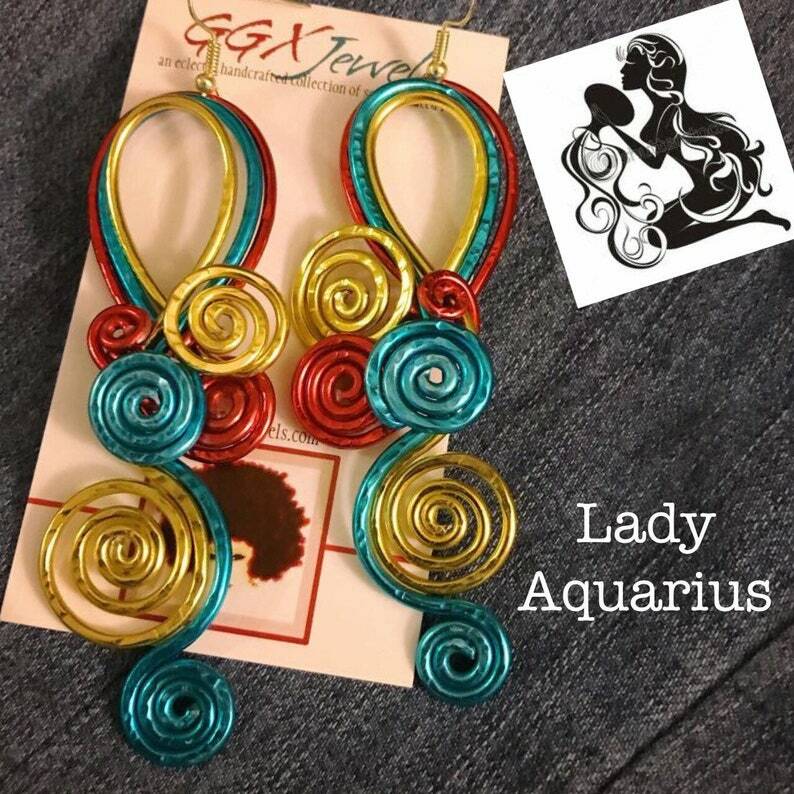 This listing is for one (1) pair of custom created hammered aluminum earrings, infused with my artistic interpretation of the Aquarius Water Bearer symbol & signature GGX twist. PENDANT available via custom order request for $25.